How time flies. Another quarter of a year has passed and so it’s time for me to review the UKVI Portfolio once again. That makes me happy because portfolio construction is one of my favourite topics (sad, I know). Note that while this is a virtual portfolio it effectively contains my “best ideas” and so I have basically all of my net worth invested in the same stocks. 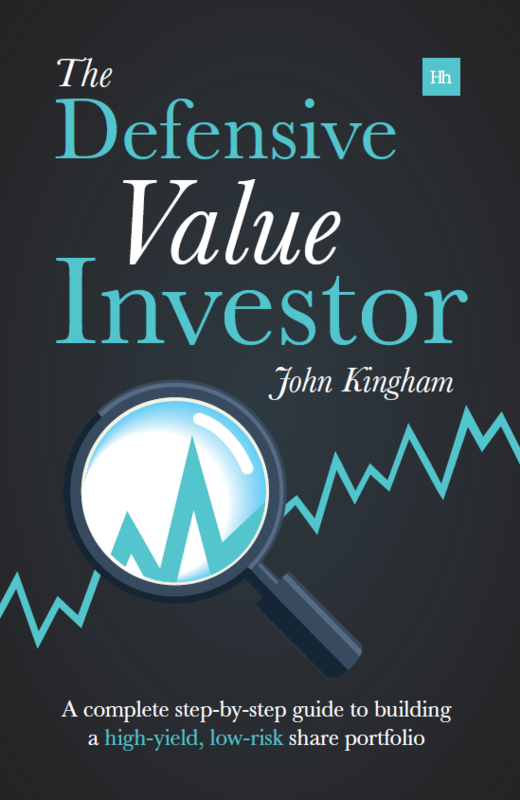 The strategy I’m using to achieve those goals is defensive value investing. The basic strategy is value investing, but the companies I buy are restricted to relatively defensive companies with long track records of profitable dividend growth. 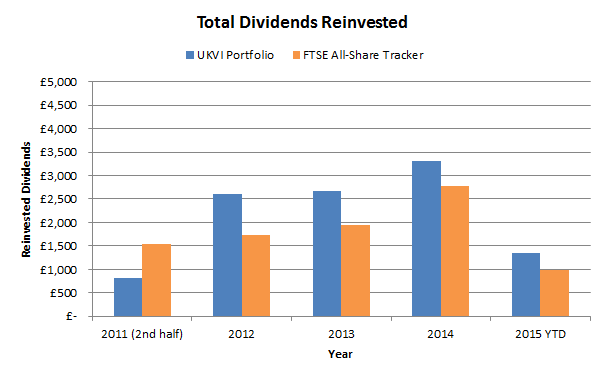 The UKVI Portfolio started life in March 2011 with a value of £50,000 and is benchmarked against another £50,000 portfolio which only holds a FTSE All-Share tracking investment trust (the Aberdeen UK Tracker Trust). Note that the chart includes an “average” and “bad” investor, who underperform the market by 3% and 6% a year respectively, primarily because they buy what has gone up, sell what has gone down and buy and sell too often. This is based on figures quoted by Barclays Wealth and Pete Comley’s book “Monkey with a Pin”. 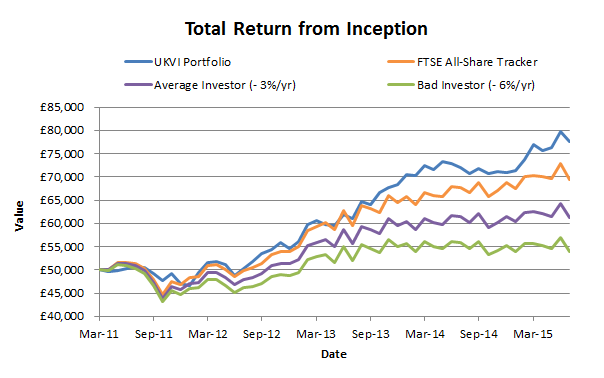 So far the UKVI Portfolio has met all of its performance goals of having a high yield, high total return and low risk. 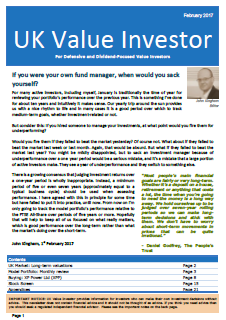 At the outset I thought it should be possible to beat the market by about 3% a year, with less volatility, and so far the portfolio’s annualised performance has been at about that level. With the portfolio now more than £8,000 ahead of the All-Share tracker (not to mention £16,000 ahead of the “average” investor and £23,000 ahead of the “bad” investor), I think it’s safe to say the effort has been worthwhile so far. Assuming it takes about 100 hours per year to manage this portfolio (a couple of hours per week, with a couple of weeks off per year) then over the four and a quarter years of the portfolio’s life it has taken approximately 425 hours to run. Dividing the £8,131 outperformance by 425 hours gives a rate of £19.13 per hour, which seems fairly worthwhile to me. Of course that hourly rate will grow exponentially as the portfolio grows over the long-term, assuming its annualised outperformance remains approximately the same. One caveat to all this is that gains over 5 years or less are highly susceptible to good and bad luck, so generally I think investors should ignore such short-term results. However, until the UKVI Portfolio is more than 5 years old I have little choice but to look at these short-term results, taking them with the appropriate pinch of salt due to their short duration. I also made one “rebalancing” trade, which was to sell about half of the position in JD Sport (for a second time) as it had once again increased in value to more than 6% of the portfolio (the original purchase price was 228p whereas the price today is 712p). Obviously in terms of the performance of the two companies I’d sold in full, this wasn’t a good quarter. In fact Balfour and Serco have been by far the two worst performing investments to leave the UKVI Portfolio so far. Investing is a game of averages, with winners and losers. As long as the winners significantly outnumber and outperform the losers the overall portfolio should do fine. As for Balfour and Serco, they have both contributed enormously to the improvement of my investment strategy, resulting in new rules on investing in defensive sectors, being more cautious about borrowings, more cautious about pension liabilities and asking questions to avoid value traps. As I’ve mentioned, I have a few rules covering diversification, e.g. how many stocks to hold, from what sectors and so on. Hopefully by the end of all that you have a pretty good idea of how I like to structure the UKVI Portfolio, as well as the reasons why. I’ll be back with another portfolio review at the end of Q3. I like the fact that you have an equal allocation to both FTSE 100 and FTSE 250 companies. Recently my FTSE 100 allocation has fattened up a bit to about 71%. Hopefully I will add some further FTSE 250 companies as I have always looked to try and get a more equal balance between the two indexes. Here’s a question for you. You talk of reducing country-specific risk. Do you do this by investing in foreign companies or just UK-listed ones which derive a large amount of their income from overseas? I assume the latter. Hi DD, yes the latter. Morningstar and SharePad both publish revenue split for companies so it’s easy to see how much revenue comes from where. I think the least UK-centric company I hold is BHP Billiton, which gets about 1% of revenue from the UK. Thought that was the likely method! That is not much of a surprise to see BHP as the least UK-centric! I had not seen that data on Morningstar. Will have to take a more detailed look! The geographic data is behind a paywall unfortunately, as part of their Morningstar Premium service. I haven’t seen it for free anywhere, although you can usually work out the geographic spread or approximate it from the annual reports.